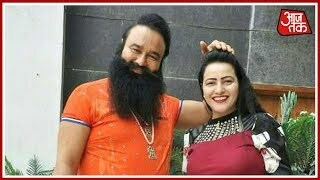 New delhi: dera sacha sauda chief gurmeet ram rahim singh had illicit relations with his "adopted daughter" honeypreet singh, alleged her ex-husband vishwas gupta on friday. "Which father makes his daughter sleep on his bed? She always used to be with him," alleged gupta in a media conference and said that he was afraid for his life as gurmeet is powerful even when in jail. "She never slept with me. Every night, she was with him. 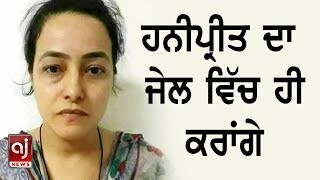 The sect chief virtually made me a captive and did not allow my (then) wife honeypreet to come to me," gupta told the media here. 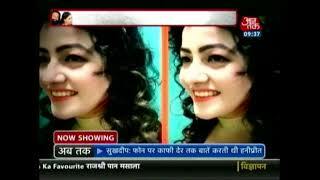 connect with mathrubhumi news: visit mathrubhumi news's website: http://www.Mathrubhumi.Com/tv/ find m..
Related videos to "ram rahim, honeypreet had illicit relations: ex-husband | mathrubhumi news|crime news"